We believe on the bases of our experience that an early treatment and injury management with correct diagnoses improve pain and achieve quicker recovery. Therefore we provide appointments on the same day to avoid further delay that can potentially cause damage to bones, muscles and surrounding soft tissues. We aim to achieve your goals in sports, work and day to day life without any pain. Fife Physiotherapy Centre is Dunfermline is a small team of expert and experienced Chartered Physiotherapists. Our expertise is pain management, Foot Care, Sports Physiotherapy and Injuries Management, Sports Massage, Acupuncture, Reflexology and all remedial and complementary therapies can be accessed under the umbrella of one clinical practice. Our first priority is your health and to keep maintain the trust of our clients and achieve quicker recovery as possible. We always give expert advice and the most suitable hands-on treatment with clinical and home management exercises. We pride ourselves on the fact that we do not ask our clients to come for more sessions without a valid reason or charge them for something we can’t help with. We never force or ask our clients to book dozen of sessions in advance due to the fact that 9/10 of our clients get complete recovery within 3-4 sessions. 1/10 complex cases may take 6-8 sessions, but in such cases, we work collaboratively with you to ensure that you get the best health outcomes. Abdur is our full-time lead physiotherapist at Fife Physiotherapy Centre and has previously provided services to Fife Elite Football Academy, Cowdenbeath Football Club, Alloa Athletic Football Club and Dunfermline Rugby Club. 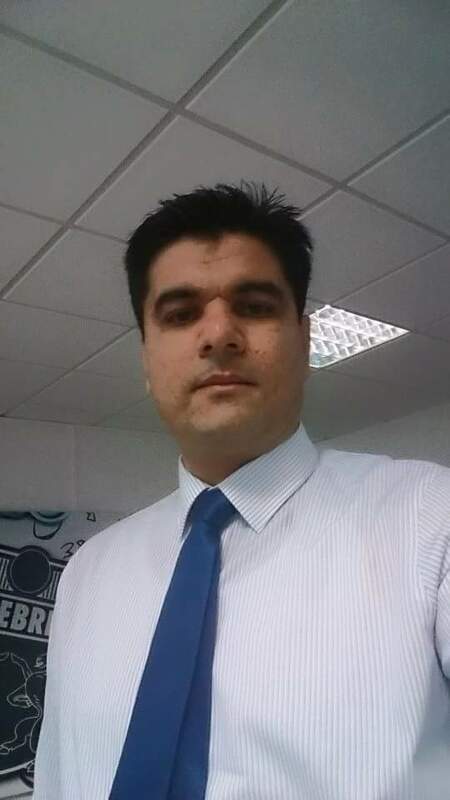 Abdur has over 18 years of experience with hands-on treatments and has helped several clients to walk normally after months or years of wheelchair/crutch use. Abdur takes every case as a challenge of job satisfaction and believes in the correct diagnoses of injury. Abdur has excellent diagnostics and treatment skills and boasts 5/5 reviews and hundreds of other happy clients who recommend him through word of mouth. We are insured and registered with The Chartered Society of Physiotherapy, Health & Care Professional Council (HCPC) & the Acupuncture Association of Chartered Physiotherapists (AACP). We maintain our professional, educational and clinical standards. We provide services that can help you towards a pain-free healthy life by maintaining physical well being and fitness. We have years of experience in providing high quality prescribed orthotics, corrective insoles, splints, and body products. We are in a close connection with several insurance companies, law firms and personal injuries claim solicitors. We also provide treatment and pitchside physiotherapy for elite sports players, including Rugby, Football players, Track Athletes, Weightlifters, Gymnasts, badminton champions and professional dancers. We have offered sports physiotherapy and sports injuries management to most of the Scotland’s sports clubs and academies. Previous clients have included Cowdenbeath Football Club, Fife Elite Football Academy & Alloa Athletic Football Club. We measure our success by our reviews and the happy clients that we have served. We are highly recommended and rated on Google & Facebook. We currently have over 90 5* reviews on Facebook. Abdur helped me recover from 2 separate injuries, one of which was very complex. His knowledge allows him to diagnose an injury very quickly, and treatment always fits the injury. He has a genuine interest in your health and has been a big help to me.